What is the Neighborhood Watch? 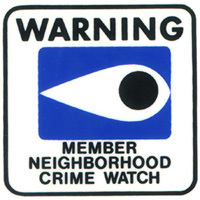 In essence, Neighborhood Watch is a crime prevention program that stresses education and common sense (Stegenga 2000). It teaches citizens how to help themselves by identifying and reporting suspicious activity in their neighborhoods. In addition, it provides citizens with the opportunity to make their neighborhoods safer and improve the quality of life. 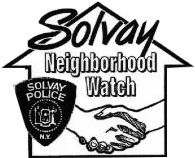 Neighborhood Watch groups typically focus on observation and awareness as a means of preventing crime and employ strategies that range from simply promoting social interaction and “watching out for each other” to active patrols by groups of citizens (Yin, et al., 1976). All meetings will be held at 6:30 p.m. in the Tiger’s Room at the Solvay-Geddes Youth Center.